Telangana : A Congress leader in Telangana tagged Prime Minister Narendra Modi as 'terrorist' in front of her party's chief Rahul Gandhi. "Every person is scared of which bomb Modi will drop at which minute. He is appearing like a terrorist. Instead of loving his people, he is scaring them. This is not a characteristic of a Prime Minister. 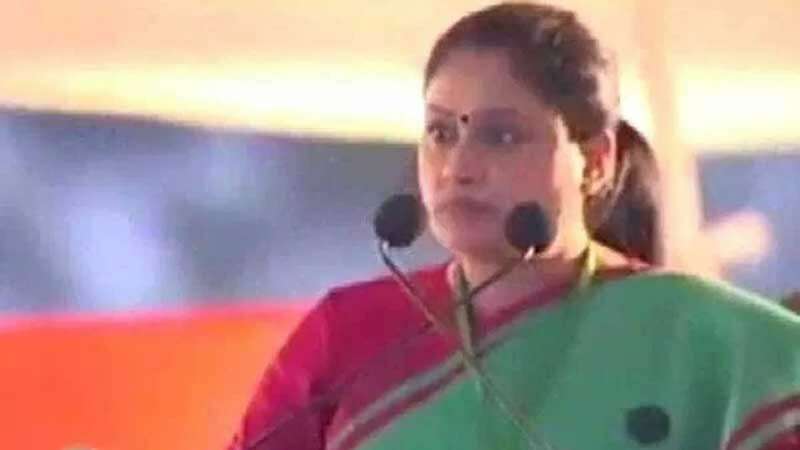 "On all fronts like demonetisation, the Goods and Services Tax, reclaiming black money and the Pulwama terror attack, he was scaring people," Vijayashanti, an actress-turned-politician, said. The shocking comment on social media can create controversy in the coming days like it had happened with veteran Congress leader Mani Shankar Aiyar who had called the Prime Minister "neech" in 2017 before the Gujarat elections. The 77-year-old leader was rebuked by Mr Gandhi and suspended from the Congress for eight months. It is not clear what action, if any, the Congress will take against Vijayashanti. The Bharatiya Janata Party reacted to it saying 'Congress is truly raising concerns & worries of terrorists in Pakistan'. Now Congress is truly raising concerns & worries of terrorists in Pakistan.